Kristen Seaman, Peter Schultz (ed. ), Artists and Artistic Production in Ancient Greece. Cambridge; New York: Cambridge University Press, 2017. Pp. xvi, 242. ISBN 9781107074460. $99.99. The intention of this slim volume of essays is to counter what the contributors think is a diminution in recent scholarship of the role of artists in ancient Greek society. It is a reassertion of the importance of the individual in the creation of the material culture of ancient Greece. There are a total of ten essays with an eleventh called a response, which in actuality is an additional essay. To their credit, Seaman and Schultz have expanded the topics from the usual suspects of sculpture and vase painting to include essays on mosaics, coins, and architecture. The authors and titles are listed at the end of the review. In her introduction, Seaman gives an overview of the historiography of the study of Greek art, from early interest emphasizing the artist and the subsequent attribution studies to the death of the artist in vogue at the end of the twentieth century. Seaman sees a gap in the historical understanding of artistic production in ancient Greece and hopes that the essays promote a more balanced approach to the study of surviving artifacts that lies between these two extremes. She defends the use of "artist" rather than "craftsman" in the volume by a short review of Greek language terms and examples from ancient literature of the awareness of inventiveness and personal style. She ends the introduction with a summary of each of the essays. Seaman then continues these themes in the second essay by focusing on ancient literary sources that attest to the elite social and educational backgrounds of some Greek artists. It seems clear that certain makers of ancient objects were neither in the bottom ranks of society nor were they anonymous figures in their communities. 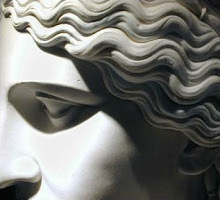 Palagia's contribution on the sculptor Euphranor is actually a paper given in 2007 at the Louvre Museum. Her continuing interest in Euphranor stems from research first presented in 1980 in her dissertation. This essay highlights the problematic nature of attributing existing statues to literary sources. Palagia no longer endorses attributions that she made to Euphranor in her dissertation, acknowledging a lack of evidence (p. 137). But, apart from the statue of Apollo Patroos discovered in the Athenian Agora (inv. S 2154), it is not entirely clear which statues she continues to believe were made by Euphranor. For example, although the bronze statue of Athena from Piraeus has been attributed by some scholars to Euphranor—and Palagia herself makes a strong stylistic argument in favor of its creation by that sculptor—, uncertainty remains about its still undetermined date (p. 136). Indeed, the authors of the catalogue of the recent exhibition of large Hellenistic bronzes remind us that none of the bronze statues found in the Piraeus cache have yet been systematically analyzed or investigated for their casting techniques. 4 At the very least, technical examination and scientific investigation must be included for any attribution of an unsigned statue discovered out of its original context —which is the case for the vast majority of sculptures, since they were portable in antiquity as well as in later periods when they were frequently re-used for other purposes. Schultz's essay is a case study of Kephisodotos the Younger that demonstrates his status as a member of elite Athenian society. Works produced by the sculptor and his workshop are known only from literary references and epigraphical sources. Schultz is masterful at marshalling all extant information on this man, but as to creating a personality, the lack of any material remains is a serious impediment to that goal. The second essay on the topic, by Bolmarcich and Muskett, is a statistical study of painter and potter signatures on vases. Using a database of 1039 signatures, the two authors analyzed them by various categories, including chronology, findspots, shape and technique.6 There are useful tables summarizing their findings for chronology and findspots. The findings are inconclusive, however, on whether signatures represent the name of the individual craftsman or rather that of the owner of the workshop producing the vases. The essay on mosaics by Martin seems an odd topic to include in this volume, since by their very nature of production, mosaics were the work of many hands. She begins by recognizing that mosaics do not meet basic criteria to reconstruct an ancient artist's style.7 She then attempts to recover the role that Hellenistic picture mosaics played in the development of artistry and aesthetics of the Hellenistic world by examining, especially in their technical aspects, works from the Palestinian sites of Tel Dor and Tel Anafa. She concludes that Greek iconography and style, and the few Greek signatures do not mean that picture mosaics were invented and made by Greeks nor were they a byproduct of Greek painting. Similarly, the essay on coins by Pafford does not attempt to identify individual artists or die engravers, but is an examination of coins with closed and open borders. The aim is to demonstrate that even within the constraints of state-produced coinage, individual die engravers made innovative aesthetic decisions in their designs. In this manner, the hand of an individual artist may be glimpsed. The essay by Miles focuses on the architect of the Hephaisteion, prominently placed and dominating to this day the archaeological remains of the Agora in Athens. The actual name of the architect of this temple is unknown, but was dubbed the "Theseum Architect" (the Theseum being the early name for the Hephaisteion), by the influential architectural historian, W.B. Dinsmoor in 1940. Besides the Hephaisteion, he attributed three additional works to this unknown architect: the temple of Ares, also in the Athenian Agora, the temple of Poseidon at Sounion, and the temple of Nemesis at Rhamnous. Miles meticulously dissects Dinsmoor's eight specific characteristics of this architect's designs, showing them to be problematic and exposing the fictitious nature of the "Theseum Architect." Her aim is to improve the understanding of ancient Greek architecture by focusing on observation and study of the remains of the buildings themselves, not by getting sidetracked into the creation of architectural personalities. She advocates looking for "artistic individuality" in further study of the material evidence for the design process itself. That being said, a particularly useful element in her essay is a table listing religious buildings built during the Archaic and Classical periods, which are attributed to named architects by ancient authors and inscriptions (pp. 107-108). The concluding essay by Hurwit is a sophisticated exposition of the middle ground between Rhys Carpenter's assessment of sculpture (and by implication other forms of ancient art) as "anonymous product of an impersonal craft," and the creation of artistic personalities such as the "Theseum architect," promoted by Dinsmoor. Hurwit notes the exceptional nature of Greek artists, as compared to Egyptian, Mesopotamian, Etruscan, and even Roman craftsmen, in the declaration of their own identities by the names that survive, completely and partially in signatures, inscriptions or ancient sources. By framing the argument between those who adhere to the anonymous craftsman line of thinking and their opponents stressing the master artistic personality as one of degree, his position is successful. While named ancient Greek artists confidently connected with existing works of art do exist (e.g., Damophon), in general the production of cultural artifacts was an interactive process. Hurwit concludes that not only do artists shape culture, culture shapes them. In many ways, this volume of essays is a continuation of the 1996 book Personal Styles in Ancient Greek Sculpture. That publication focused on the "big" names in Greek sculpture such as Pheidias, Polykleitos, Praxiteles, and Lysippos. This volume continues the methodologies and conclusions advanced there in broadening the field beyond that of sculpture. At the beginning of the volume, the editors state that its origin lies in the discussions of graduate students at the American School of Classical Studies at Athens. As an alumna of the American School, I well recall similar discussions and perhaps the essays in this volume will prove most useful as departure points in graduate seminars. Hurwit's essay particularly should be required reading in the curriculum. 11. Response: reflections on identity, personality, and originality. Jeffrey M. Hurwit. 1. A forthcoming book on the statues is V. Azoulay, P. Cartledge, and J. Lloyd, The Tyrant-Slayers of Ancient Athens: A Tale of Two Statues, Oxford. 2. On later copies of Greek originals see Miranda Marvin, The Language of the Muses: The Dialogue Between Greek and Roman Sculpture, Los Angeles, 2008, and an annotated bibliography on the topic by A. Anguissola for Oxford Bibliographies: "Greek Originals and Roman Copies". 3. For an idiosyncratic view of the role of style in archaeology and art history, see R. Neer, The Emergence of the Classical Style in Greek Sculpture, Chicago and London, 2010, pp. 1-19. 4. J. M. Daehner and K. Lapatin, eds. Power and Pathos: Bronze Sculpture of the Hellenistic World, Los Angeles, 2015, p. 31. Of particular relevance to the arguments advanced by the book under review on the individual hand of Greek artists/craftsmen is the response: "Barr-Sharrar on Ridgway on Daehner and Lapatin" BMCR 2016.02.29; see also Ridgway's response at BMCR 2016.02.47, and Barr-Sharrar, review of Daehner and Lapatin in JRA 30 (2017), pp. 559-568. 5. See also G. Hedreen, The Image of the Artist in Archaic and Classical Greece: Art, Pottery and Subjectivity, (Cambridge 2016). 6. Based on H. Immerwahr Corpus of Attic Vase Inscriptions (CAVI) plus additions of their own. 7. Defined by J.J. Pollitt, "Masters and Masterworks," in O. Palagia and J.J. Pollitt, eds. Personal Styles in Greek Sculpture, Cambridge, 1996, p. 1.